STATEWIDE: On a media call Wednesday morning Citizen Action of Wisconsin, with key state lawmakers and the Wisconsin Federation of Nurses & Health Professionals, released a new analysis which has major implications for the high profile health care debate in the 2018 election. We were joined on the audio news conference by State Senator LaTonya Johnson and State Rep. Chris Taylor, both members of the powerful Joint Finance Committee which writes the state budget. Listen to the entire audio here. The analysis, based on just released federal data crunched by Citizen Action, shows that Governor Walker’s refusal to build on the Affordable Care Act is forcing Wisconsinites to pay thousands more for health insurance on the individual market. In some high cost regions of the state, Wisconsin families are paying over $24,000 per year more per year! 1. How much would Wisconsinites who buy health insurance on their own save if BadgerCare was made a public option? Governor Walker and the majority in the Legislature have refused to take action on the popular proposal introduced by legislative Democrats. Challenger Tony Evers supports the BadgerCare public option proposal. 2. How much more will Wisconsinites who buy insurance on their own pay next year than their counterparts in Minnesota? Minnesota, unlike Wisconsin, has consistently built upon the Affordable Care Act (ACA). For both questions, the analysis used as its baseline consumers who make too much to qualify for federal tax credits, and therefore pay their entire health insurance premium. Wisconsinites who buy insurance on their own would pay premiums and deductibles on average 32.5% less if a BadgerCare Public Option were available. This means they would pay on average $3,685 less for the same level of coverage (see Figure 2). Wisconsinites on the individual insurance market will face premiums and deductibles 50% higher on average than their counterparts in Minnesota. This means paying a state average of $3,781 more per year for the same level of coverage. For some Wisconsin border regions, the disparity is even greater (see Figure 3). Enacting a BadgerCare Public Option would have an even more dramatic impact for a family of four, saving as much as over $24,000 in premiums and deductibles over private health insurance (see Figure 4). Governor Walker has heavily touted his reinsurance plan which was passed earlier this year, but a Citizen Action analysis of independent research shows it does not make up for the cost of his sabotage of the ACA. The data in this report shows the BadgerCare Public Option would be much more effective than Walker’s policies in making individual market health insurance affordable. The BadgerCare Public Option Bill (Assembly Bill 449/Senate Bill 363), authored by State Rep. Eric Genrich (D-Green Bay) and State Sen. LaTonya Johnson (D-Milwaukee), would give Wisconsinites the option of purchasing BadgerCare on the Affordable Care Act marketplace. This option would be especially attractive to people who buy coverage on their own without a tax credit, and to small businesses. "Providing a BadgerCare Public Option would help ensure that the rising cost of healthcare is being addressed," said State Senator LaTonya Johnson (D-Milwaukee), a member of the powerful Joint Finance Committee and the Senate author of the BadgerCare Public Option bill. "No matter where Wisconsinites work, where they live, what they make or what pre-existing condition they have this would ensure that BadgerCare could be available as an option to them." “At every opportunity, Governor Walker has sought to sabotage the Affordable Care Act. The lawsuit right now by Governor Walker and Attorney General Brad Schimel would get rid of the Affordable Care Act's protections for people with pre-existing conditions for example", said State Representative Chris Taylor (D-Madison), a member of the powerful Joint Finance Committee. "Why on earth would you not want to save money and cover more people at the same time?" "Everyday our nurses see people who come into the emergency room so much sicker than if high deductibles did not compel them to delay or avoid care," said Candice Owley, RN, President of the Wisconsin Federation of Nurses & Health Professionals. "These is life and death choices, not just a political choice. The largest reason for bankruptcy is medical debt, and the BadgerCare Public Option could help that by protecting patients when a unexpected medical bill arises." 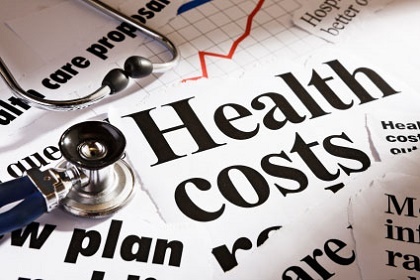 "In 2014, for the first time in years, the health insurance costs for our family business fell below $1,000 month as insurers could no longer price discriminate my husband's preexisting condition," said Sharon Harris, a small business owner from Brookfield. "We are very supportive of the ACA but now, because of the sabotages, we are now paying more for health coverage than our mortgage. It feels like we're living paycheck to paycheck. We strongly believe a BadgerCare Public Option could help our business and family." * - Legislative Fiscal Bureau estimate of a BadgerCare Public Option buy-in. Public Option figures above does not have any deductible, unlike private insurance. Figure 4: The Cost of Private Insurance for a Family of Four, premiums and deductibles, over the BadgerCare Public Option; 2019 rates, 2nd lowest cost silver, by Metro.